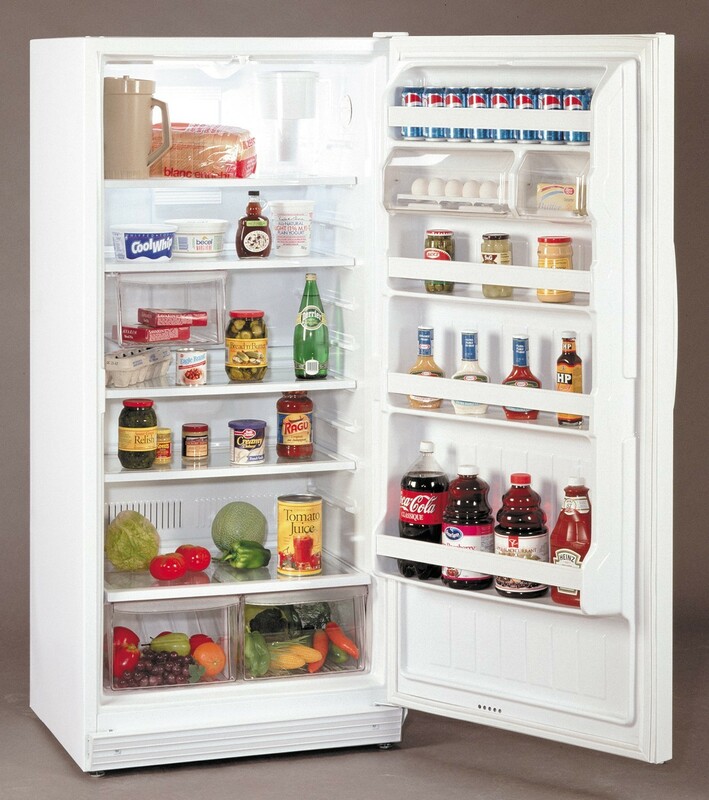 - humorist Spike Milligan When the power goes out, a refrigerator will keep food safely cold for about 4 hours if UNOPENED. A full freezer will hold the temperature for up to two days if the door remains CLOSED (24 hours if the freezer is only half full). More than 250 diseases can be caused by bacteria found in contaminated food. 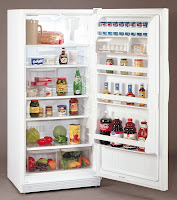 After a long outage, you can NOT rely on appearance or odor for food safety. Never taste food to determine if it’s safe use a food thermometer instead. Discard all perishable foods (meat, milk, soft cheeses, cooked leftovers) that have been above 40°F for 2 hours. Discard items that have come into contact with raw meat juices. If frozen food still contains ice crystals or is below 40 °F, it is safe to refreeze; otherwise toss it. You can help preserve your food by moving any item you must use (like milk or soda for the children) into a cooler with ice. Then wrap tape or rope around your fridge and freezer to keep it closed from prying young fingers. If you don't have a food thermometer, then keep two ice cubes in a bag on a freezer shelf. If the ice has completely melted when the power returns, you can be pretty sure the food is not safe to keep.